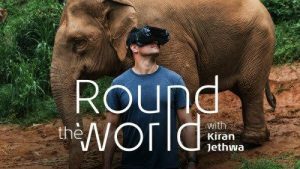 iFly VR captures some of the most beautiful places in the world in 360 degrees and is hosted by celebrity chef Kiran Jethwa, star of National Geographic’s The Fearless Chef and the British television station Channel 4’s Extreme Foods. In the first of three editions, Jethwa takes the viewers to the Thai jungle where he goes in search of the world’s most remarkable cup of coffee. In the first episode, Jethwa guides his viewers through the delicate production process, from coffee bean to steaming cup of coffee. The VR experience ensures that you really experience it up close. This special coffee is produced with the help of elephants, which literally puts you face-to-face with these majestic beasts. Very soon, iFly will show you breath-taking travel videos that allow you to see 360 degrees around you. You’ll have time to take in all the splendour of the surroundings, so it’s nearly as impressive as real travel. You can enjoy the new videos with VR glasses, or on a tablet or smartphone. So, anyone can take a long journey from the comfort of their own home. You’ll ride across rivers, sit among the locals at a ceremony – you can almost feel the sun warming your head. 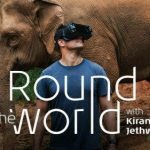 Wearing the VR glasses, you can imagine yourself sitting or walking next to the presenter as he walks through the rainforest, meets indigenous tribes, or pets an elephant.